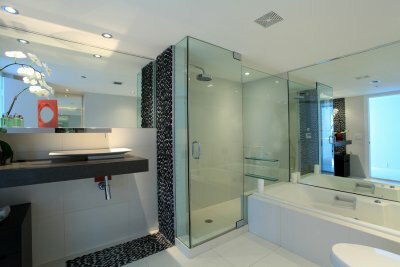 Glass shower doors and enclosures are a popular addition to any bathroom. They can open up and brighten a small bathroom space, and they can be less damaging to the health than shower curtains. There are only a few types of shower doors near Houston, but they can usually be customized and texturized to complete any homeowner’s personal vision. One of the most common shower door installations is the sliding door. Sliding shower doors involve the easiest installation, especially if homeowners are wishing for a simple upgrade from their shower curtain. Sliding shower doors can often be installed with or without a frame. If the bathroom is small, or the shower is small, then round shower doors are a popular choice. Pivot doors can be installed with one door or French doors that open out, similar to a traditional entry door. These glass shower doors can all come with different features, such as frosted and textured glass. Your new glass shower door in Houston can last for years and years with the proper care and maintenance. If you don’t care for your shower door, you’ll end up needing glass replacement or repair fairly quickly. Here are some valuable maintenance tips for your new glass shower door . If you live in a region with hard water, your glass shower door is at risk for building up hard water stains. Over time, these can etch the glass shower door and damage it permanently. 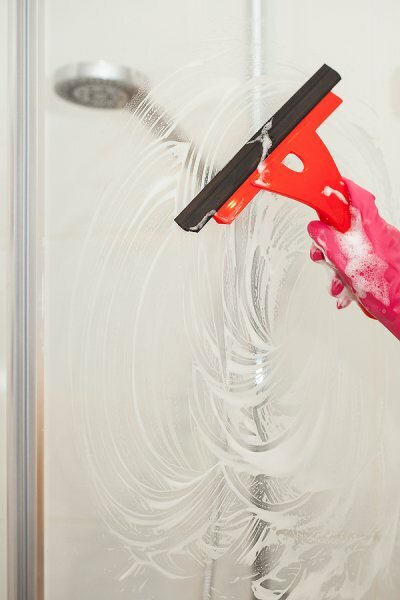 You can prevent hard water stains by using a squeegee to clean off the glass after every shower. You can also use a microfiber towel instead of a squeegee. You should also use a weekly shower cleaner that can safely and gently remove mineral deposits from the glass shower door and prevent hard water stains. You should never use abrasive cleaning supplies on your glass shower door. Do not use abrasive powders, pads, steel wool, or any cleaning product that contains bleach or ammonia. These products can damage the glass and also corrode the shower door’s hardware over time. You should clean your glass shower door weekly with cleaning products that won’t damage the glass. You can spray the glass with a simple mixture of one part white vinegar, four parts water, and a few drops of mild dishwashing liquid. Let the solution sit on the glass for a few minutes, then wipe clean with a microfiber cloth. Your glass shower door’s seals prevent water from dripping out of the shower onto your bathroom floor. These seals can be damaged by strong cleaning chemicals, and will develop holes and begin to leak. You can protect the seals by only cleaning them with mild soap and warm water. Keep the bottom sweep in particular as clean as possible, and lengthen its life by applying a coat of petroleum jelly to its surface. When your seals become worn or damaged, replace them as soon as possible. Are you tired of having to replace your shower curtain to get rid of soap scum or buildup? It may be time to give your bathroom décor an updated look. Start with looking into frameless shower doors in Houston . Frameless glass shower doors have a number of benefits that make it a worthy investment for your home, as well as a low-maintenance alternative to your existing shower door. Keep reading to learn more about the benefits of a glass shower door. Having a glass shower door means having a shower door that lasts longer than any other option. 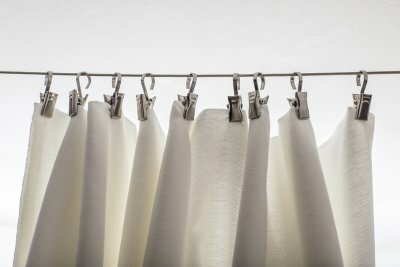 No longer will you need to worry about replacing worn out shower curtains or replacing metal frames that collect grime and can make your shower look dated. A frameless glass door gives your bathroom a sharp and updated look. Changing out your shower doors is an easy way to update your bathroom without extensive renovations. It provides a certain amount of elegance with clean lines. Bathroom updates can increase the value of your home. This makes additions, like a new frameless glass shower door, a worthy investment. A frameless glass shower door makes the typically dreaded chore of bathroom cleaning much easier. Instead of having to scrub away at grime that collects on metal or other materials, cleaning a glass shower door is as simple as cleaning bathroom mirrors. You can apply a protective coat of transparent polymer coating, which helps prevent build-up from accumulating. Maintaining a clean shower door doesn’t get any easier than it is with glass. With a glass shower door, you can easily avoid long-term problems. Other enclosed shower doors with metal are easy targets for rust, which can be hard to remove and is quite unsightly. With glass doors, rust is a thing of the past. Frameless shower doors do not need to be replaced, and maintenance is easy. Shower doors come in many different designs, each of which is made to complement a different type of bathroom. If you aren’t sure which type of shower door will accentuate your bathroom, read this article for tips on choosing a style. If you are shopping for shower doors in Houston , this guide can help you make the right choice. Also known as bypass doors, this type of shower door takes up very little space. Bypass doors are essentially just a two- or three-panel glass door design that fits onto tracks, located on the top and bottom of the shower, so that the panels can slide past each other. Because of their simple and space-saving design, sliding glass doors are especially popular for stand-alone showers. Sometimes referred to as swing-open doors, pivot doors swing outward from one side. These are another popular type of shower door because they can be installed in openings that are too small for a bypass door. Depending on the layout of the bathroom, the pivot door can be installed in order to swing in and out. These doors are made to open inwards and are typically installed in stand-alone showers. Attached to the bottom and top of the frame, round shower doors feel sturdy and substantial. Fortunately, the curvature of the shower door expands the bathing area. Many shower doors are framed, which means they are framed in a material such as aluminum or composite. Framed doors include a track, which will need occasional cleaning. Frameless doors, on the other hand, are more modern and are easier to clean. They are straightforward and give the room a sense of spaciousness. Frameless shower doors tend to be popular in small bathrooms. With a texture very different from typical bathroom mirrors, frosted glass lends privacy to the shower and has a smooth texture. Rain glass shower doors are textured on one side, while the other side is smooth. In addition to providing privacy, rain glass shower doors hide fingerprints and watermarks. When you are designing a new shower, you will have the option of choosing either tile or residential glass for your shower wall design . If you are seeking a very durable and modern material for your shower doors and walls, you may want to consider working with a glass company to create a glass enclosure. A company that specializes in glass and window repair will be able to execute your glass shower walls to perfection. You will want to make sure that your glass is installed to provide you with the best visibility and style. For more information about how to use glass for your shower walls, check out this informative video from ehowathomechannel. Your bathroom is among the most central spaces in your home. Whether you are planning on renovating your existing property, or are planning to move into a home that could use an update, planning a bathroom remodel is a great way to freshen up your space. With residential glass and new shower doors in Houston, you will be able to create a bathroom design that is stylish and contemporary. A glass company offering bathroom mirrors and other services can help you transform your bathroom space. Here is a look at some ways that you may want to consider modernizing your bathroom. Glass shower doors are a popular feature in today’s modern bathrooms. When you install glass shower doors, you will add spaciousness and light to your existing bathroom space. In addition, your glass shower doors can be used to highlight any tile materials that you have chosen for your shower. Since glass doors are easy to clean, they will keep your bathroom looking beautiful and fresh. Along with considering a new glass shower door installation, you may also want to consider selecting a new vanity mirror for your space. A custom vanity mirror can be crafted to the specific dimensions of your bathroom. In addition, with a large mirror, you will bring your outdated bathroom into the 21 st century. A glass company in your local area will be able to help you design and install a beautiful new custom bathroom mirror. Today’s modern homes typically feature large master suites that include areas for showers, baths, toilets, and more. To divide up your large bathroom space, while also maintaining a modern look and feel, you may want to consider using glass partitions. Glass partitions can be installed throughout a bathroom, and will help to add a sense of flow between areas. Your glass company will be able to help you create the perfect custom glass elements for your indoor spaces. 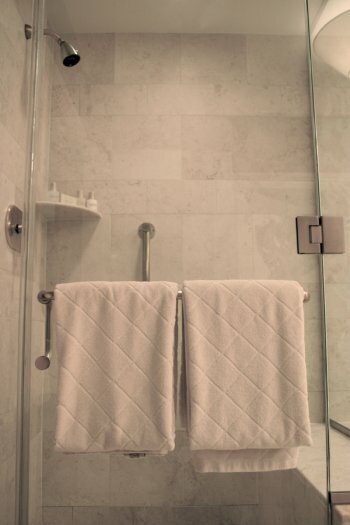 The best way for you to keep your glass shower doors in Houston clean is to be proactive. Preventative care lessens the time and effort you need to clean soap scum buildup and mildew off glass surfaces. For example, use a squeegee to scrape off excess water from glass, after every shower. Also, leave swing or sliding glass doors open to allow for proper air movement so your glass door can dry off quickly. When you actually need to clean your shower doors, use a sponge with an abrasive side for scrubbing and an appropriate, all-purpose cleaning solution. Check out this informative video to learn more tips on how to clean your glass shower doors. Before you contact a residential or commercial glass company to obtain new mirrors, glass, or windows, you should familiarize yourself with some of the terms that you might hear while speaking with them. Hurricane Glass & Mirror can assist you with mirror or glass window replacement in Houston while helping you understand some of the most common mirror and glass terms. When you talk with a residential or commercial glass company for the first time, you will likely hear about things like air infiltration, which is the amount of air that leaks out of a building through cracks in walls, windows, or doors, and condensation, which is the water that forms on glass surfaces. You will also hear about concepts like heat loss and U-value. Whether you are looking to install frameless shower doors in your home or double pane windows in your office, we will be by your side to explain all of the confusing terms to you. When you work with Hurricane Glass & Mirror, our goal will be to make you feel comfortable and to answer any and all questions you have about our industry so you can make an informed decision about your next purchase.